Commercial wiring standards are based on the type of wiring that is being installed. For example, electrical wiring in commercial installations is governed by the National Electric Code or NEC. Telecommunication wiring in the United States is covered by the Commercial Building Telecommunication Cabling Standard. The NEC defines how commercial installations must be wired for electricity. This code states that only licensed electricians can work on commercial electrical wiring and defines proper grounding of electrical wiring and power connections used in commercial buildings. According to "Power Quality Primer" by Barry Kennedy, the NEC is concerned with providing adequate grounding that protects the public from electrical shock. What Is the Standard Height of Power Lines? The Commercial Building Telecommunication Cabling Standard is known as EIA-568. This standard is also shared with the American National Standards Institute (ANSI) standard 568. This standard requires that each work area has at least two data wiring connections for telecommunication wiring. This standard also defines the color coding to be used on telecommunication wiring in commercial buildings. According to "Cabling: the Complete Guide to Network Wiring", ISO standard 11801 was developed with cable commonly used in Europe and consequently contains some references more specific to European applications. ISO standard 11801 requires that wiring must be bonded to earth in accordance with standard IEC 60364-1. Wilhite, Tamara. "Commercial Wiring Standards." 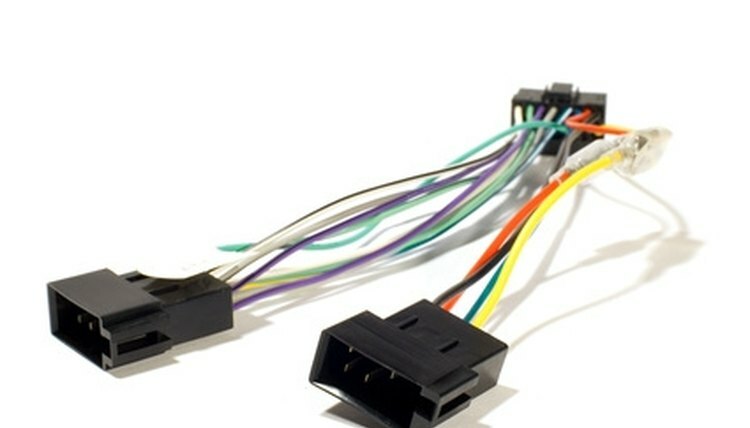 , https://legalbeagle.com/7811722-commercial-wiring-standards.html. Accessed 20 April 2019.